"BBT" Tool Holder Provides More "Rigid" Clamping than the Standard "BT" Tool Holders. Balanced to 2.5G, 25000 RPM. Execution :-Case hardened to HRC 58 ± 2. 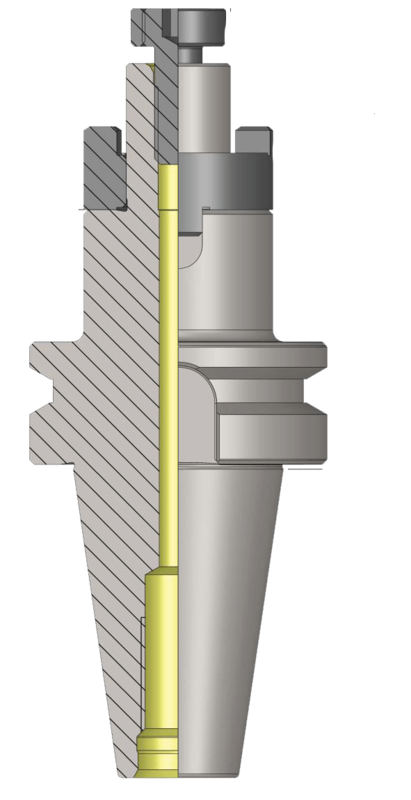 Case Depth 0.8mm., Silver finish. 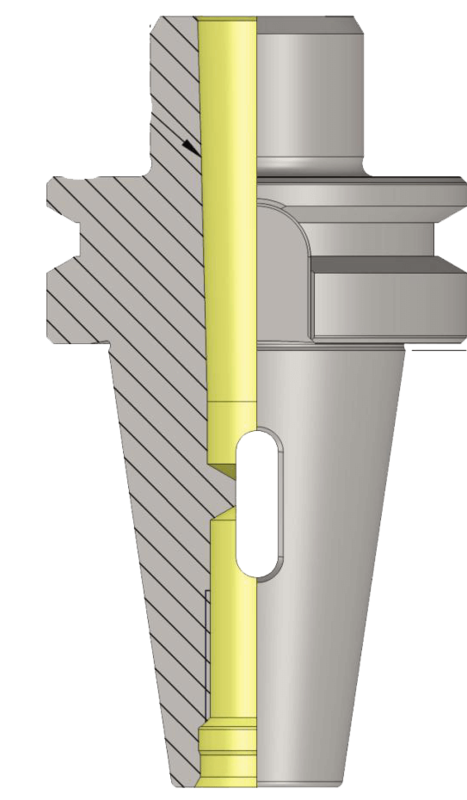 In BBT Tool Holder as mentioned Taper and both faces are in Contact, due to which spindle and holder acts as one single unit, this allows a Higher "Radial Rigidity" hence we get good surface finish and dimensional accuracy while machining, also low vibration at higher speeds which increases Tool Life. 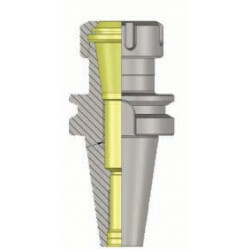 Hence BBT Tool Holder has a remarkable significant as compared to Standard Tool Holders. 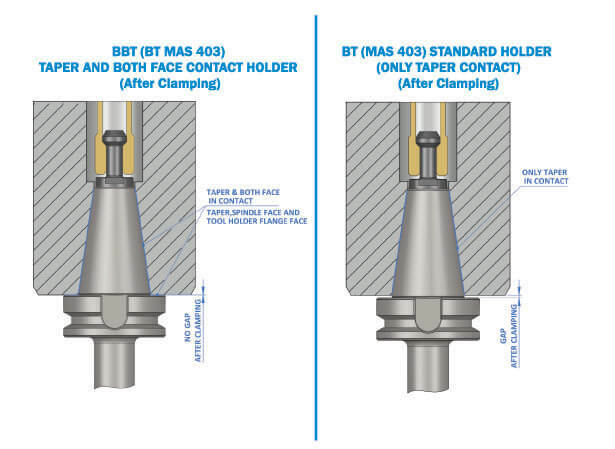 BBT Tool Holders are only recommended to use in Calibrated BBT Spindle Machines.